Slimmer With Every Visit, In Just The Right Places For You! 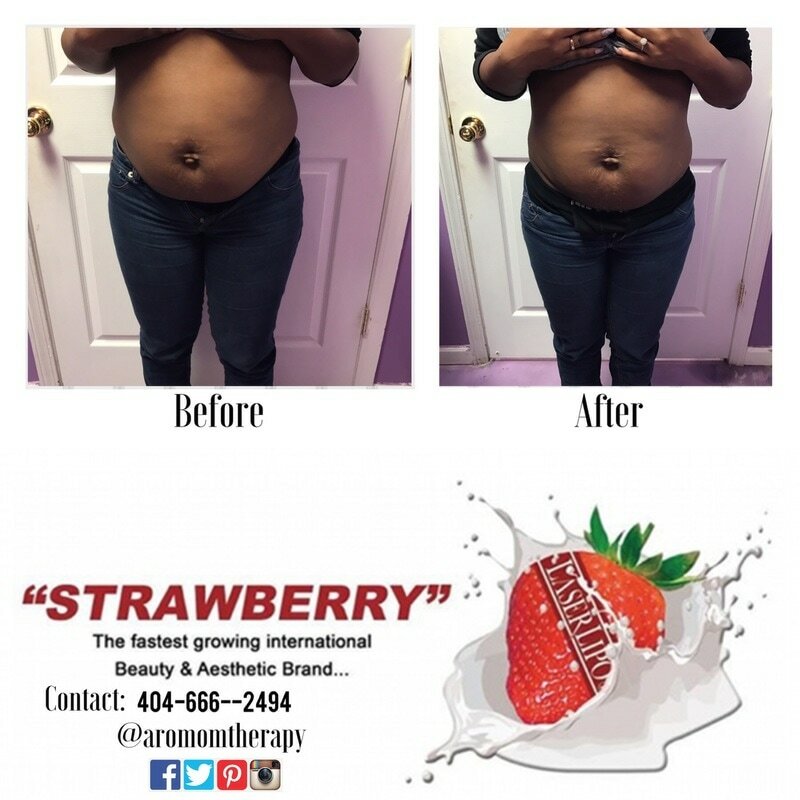 Reduce the fat in your problem areas with this "anytime" 20 minutes or less visit and return to your day without interruption or restrictions which makes this process Totally MOM FRIENDLY!!! 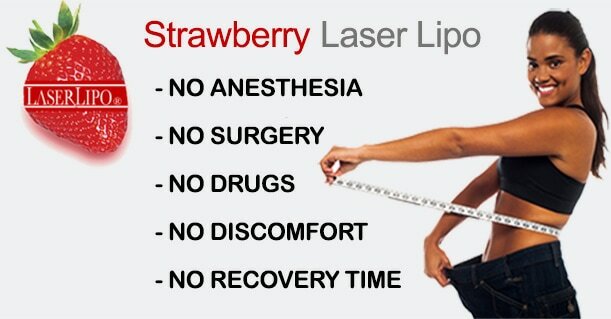 How does the Strawberry Lipo Laser work? 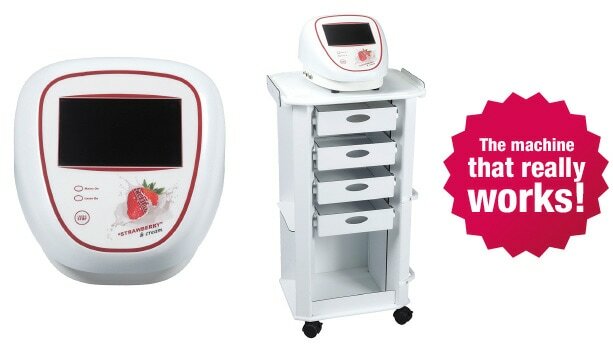 The advanced body contouring device directly targets the fat cells. Stimulating the cells, opens the pores to release the fat stored inside. The fat cells then shrink in size. The excess is removed safely by the body's natural metabolic process.What's a visit like? A treatment specialist will measure you then guide you to relax on the treatment table. Painless laser paddles will be placed on each treatment area. Following the treatment, our Whole Body Vibration Unit will assist in draining of the recently released fat . Post treatment measurements will show the accomplishments achieved. After that, you are free to return to normal activity. A course of 6-10 treatments is usually recommended. 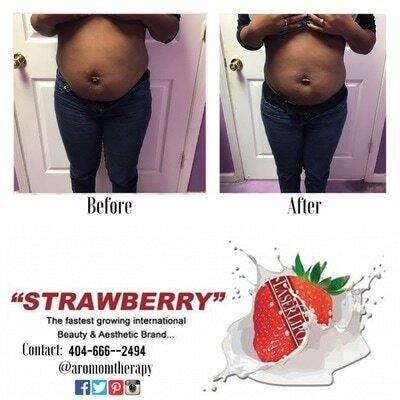 Depending on the results required and body areas to be treated, the amount of treatments may vary by each individual. Everyone shows a measurable loss with each treatment. Cumulative treatments are much more noticeable and impressive. WATER, Exercise and proper nutrition are recommended to increase results. 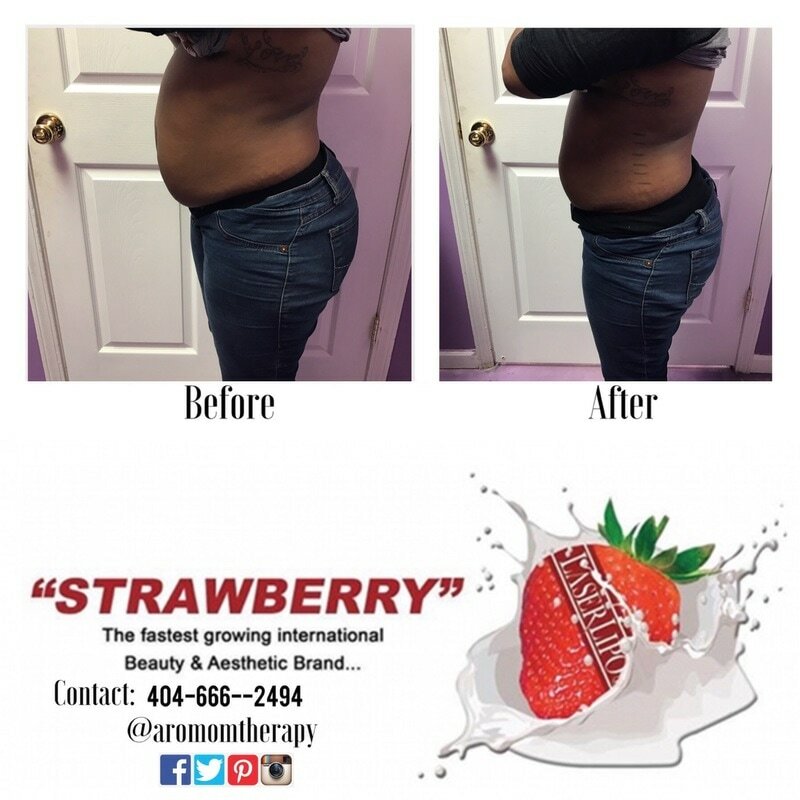 Find out firsthand why Strawberry is the Gold Standard in Body Contouring. Contact us today for your free consultation so we can get your treatments scheduled! Also be sure to check with us for open house event dates and locations where all day of services and package purchases are half priced!!!!!!! Be Sure to Fill out your pre-questionarre first! Book A Single Session Now!